To make your lives (ok, and ours!) easier, we have updated our License Activation Reset Policy. The new 2018 products (and the last few 2017 releases) will no longer require you to wait six months before resetting an activation via your account page. Login to your SAPIEN account and go to your Registered Products. 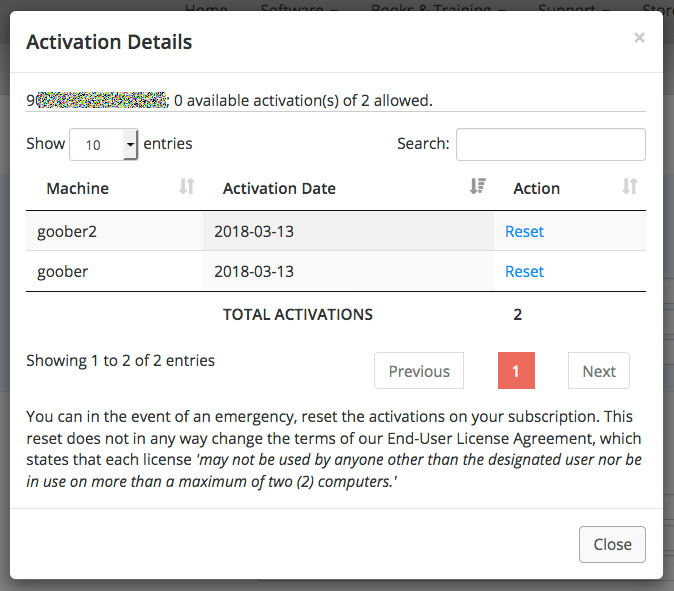 Click on the Activation Details button next to your subscription information to bring up the Activation Details window. Click Reset next to the machine that has the activation you want to reset and voila! You’re ready to go. Excellent feature !!.. that exactly happened to me once when my laptop crashed and I couldn’t deactivate the software.